(Trent Nelson | The Salt Lake Tribune) April and Brittney Nelson of Nelson Farms at the Tuesday Farmer's Market in Salt Lake City's Pioneer Park, Tuesday Aug. 14, 2018. The laid-back market continues now through September and features about 20 vendors. 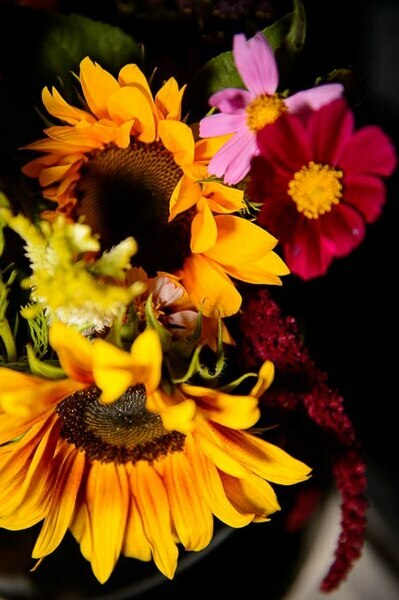 (Trent Nelson | The Salt Lake Tribune) Flowers from Top Crops Urban Farm at the Tuesday Farmer's Market in Salt Lake City's Pioneer Park, Tuesday Aug. 14, 2018. The laid-back market continues now through September and features about 20 vendors. 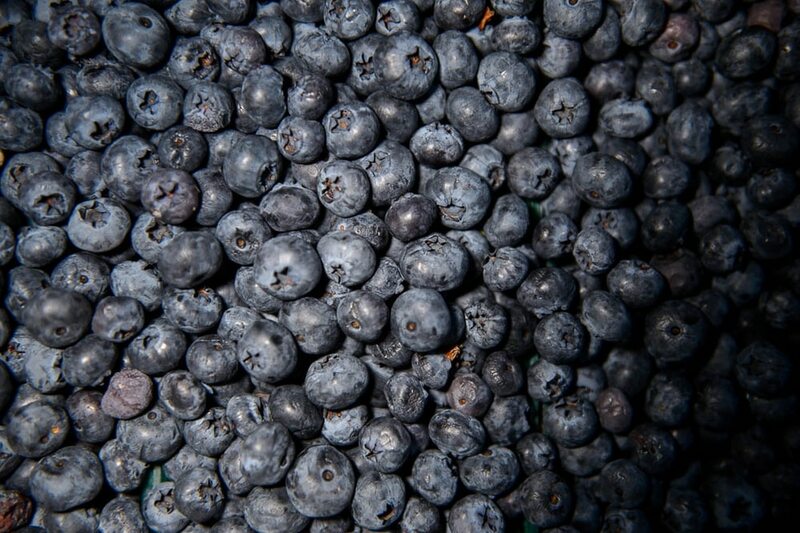 (Trent Nelson | The Salt Lake Tribune) Blueberries from Weeks Berries of Paradise at the Tuesday Farmer's Market in Salt Lake City's Pioneer Park, Tuesday Aug. 14, 2018. The laid-back market continues now through September and features about 20 vendors. (Trent Nelson | The Salt Lake Tribune) The Tuesday Farmer's Market in Salt Lake City's Pioneer Park, Tuesday Aug. 14, 2018. The laid-back market continues now through September and features about 20 vendors. (Trent Nelson | The Salt Lake Tribune) Eggplant from Asian & Heirlooms at the Tuesday Farmer's Market in Salt Lake City's Pioneer Park, Tuesday Aug. 14, 2018. The laid-back market continues now through September and features about 20 vendors. (Trent Nelson | The Salt Lake Tribune) Blackberries from Weeks Berries of Paradise at the Tuesday Farmer's Market in Salt Lake City's Pioneer Park, Tuesday Aug. 14, 2018. The laid-back market continues now through September and features about 20 vendors. (Trent Nelson | The Salt Lake Tribune) Peaches from Wilson's Peaches at the Tuesday Farmer's Market in Salt Lake City's Pioneer Park, Tuesday Aug. 14, 2018. The laid-back market continues now through September and features about 20 vendors. (Trent Nelson | The Salt Lake Tribune) Heirloom tomatoes from Asian & Heirlooms at the Tuesday Farmer's Market in Salt Lake City's Pioneer Park, Tuesday Aug. 14, 2018. The laid-back market continues now through September and features about 20 vendors. (Trent Nelson | The Salt Lake Tribune) Cherry and grape heirloom tomatoes from Asian & Heirlooms at the Tuesday Farmer's Market in Salt Lake City's Pioneer Park, Tuesday Aug. 14, 2018. The laid-back market continues now through September and features about 20 vendors. (Trent Nelson | The Salt Lake Tribune) at the Tuesday Farmer's Market in Salt Lake City's Pioneer Park, Tuesday Aug. 14, 2018. The laid-back market continues now through September and features about 20 vendors. (Trent Nelson | The Salt Lake Tribune) Samples of Trail Truffles at the Tuesday Farmer's Market in Salt Lake City's Pioneer Park, Tuesday Aug. 14, 2018. The laid-back market continues now through September and features about 20 vendors. Salt Lake City’s Tuesday Farmers Market is everything that its Saturday sibling is not. “It’s small and quaint and more relaxed,” said April Nelson. 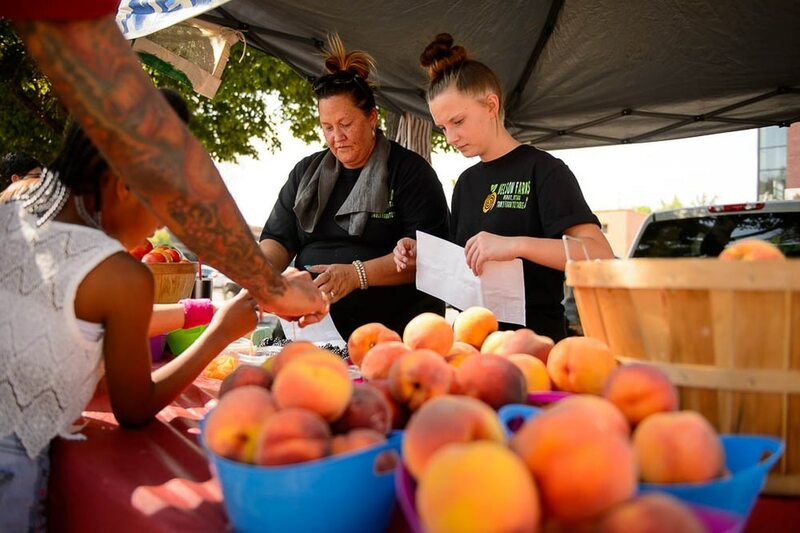 The owner of Nelson Farms in Perry, along with other farmers, vendors and customers, shared the five reasons they love this no-nonsense, produce-first market, which continues every Tuesday through September at Pioneer Park, 300 S. 300 West. Size • With about two dozen vendors, the midweek market is a fraction of the Saturday event, which has more than 120 vendors — including arts and crafts. Tuesday vendors still sell everything most shoppers need: fresh vegetables and fruits, meats, cheese, breads and other prepared food. It’s a great shopping option for residents and commuters on their way home from work, said Alison Einerson, executive director of Urban Food Connections, which operates the market for the Downtown Alliance. Parking • The Tuesday market runs from 4 p.m. to dusk, making it easy to park around the perimeter of Pioneer Park — for free — and take a quick shopping stroll. No need to pay for parking several blocks away. 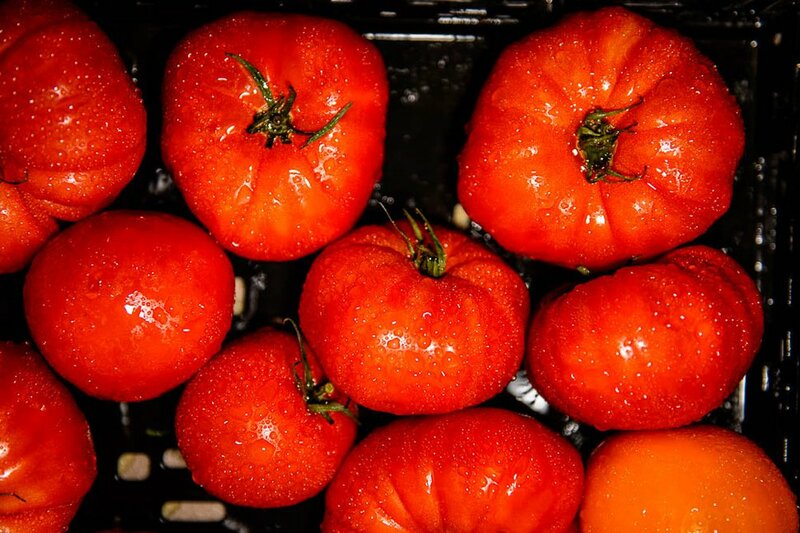 Nelson said many customers who want large boxes of fruits and vegetables for canning prefer the Tuesday market for this reason. (Trent Nelson | The Salt Lake Tribune) Heirloom tomatoes from Asian & Heirlooms at the Tuesday Farmers Market in Salt Lake City's Pioneer Park, Tuesday, Aug. 14, 2018. The laid-back market continues now through September and features about 20 vendors. Farmer options • When the growing season is at its peak, farmers need to pick — and sell — produce more than once a week, said Amanda Theobald, co-owner with Elliot Musgrove of Salt Lake City’s Top Crops Farms. The Tuesday market “allows us to pick in the middle of the week” and boost sales.